Why order this dish in a restaurant? It’s simple to make at home! 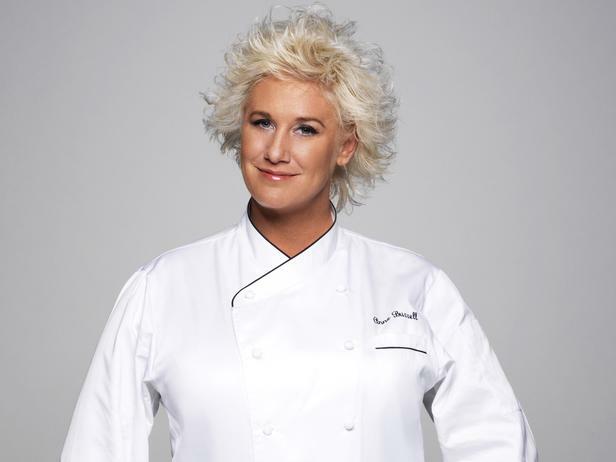 In this installment of Secrets of a Restaurant Chef, Anne Burrell shows us how to make a Linguine & Clams in white wine sauce. Why pay $20 in a restaurant when you can do this at home for much less. So, honestly, the hardest part of this recipe is cleaning the clams. We kid you not! The rest is as simple as making spaghetti. First, make your clam and white wine sauce. Start by frying some garlic and red pepper flakes in olive oil. Once that is done, steam about 3 dozen of the clams with white wine and water. When the clams open, they are ready to go. Pull them out of the liquid and set aside. You’ll pick out the clam meat later on, but for now you want to reduce that clammy-saucy goodness you just made. While that’s reducing, cook your linguine in boiling water and pick the meat from the cooked clams; set aside the clams to add later. After the sauce has reduced, add the remaining clams in to steam. Remove those cooked clams and set aside. Now add some butter, oregano and parsley to the sauce to thicken it; then add the cooked linguine and Parmigiano-Reggiano to the sauce and stir all together! Serve up the noodles with a few of the clams in shells on top. A crisp, cold white wine—like a pinot grigio—is a great pairing for this Italian dish.